IT can happen to anyone. It can happen when you cough, sneeze or laugh – leak a few drops of urine. Urinary incontinence, as is medically termed is loss of control over urination so that urine leaks before you are able to get to a toilet.The problem needs attention when the loss of urine is frequent or severe to become socially embarrassing. Never hide your problem because the good news is that in most cases urinary incontinence can be treated and controlled. “Chances of urinary incontinence are 1:5 (men: women). Stress incontinence can occur in women while coughing, sneezing, laughing or exercising,”says Dr Ajit Vaze, consultant urologist at the Jaslok Hospital, Breach Candy Hospital, Lilavati Hospital and Sir Harkisondas Hospital, Mumbai.Weak muscles in the pelvic floor are often to blame. In young women, the most common cause of urinary incontinence is lack of muscle support at the bladder neck, the place where the bladder joins the urethra (urine tube). “Urine incontinence is not common during pregnancy,” says Dr. Manu Sobti, consultant urologist at the Wadia Maternity Hospital and Holy Family Hospital, Mumbai.“But following child birth, the supports of bladder weaken causing stress incontinence. Incontinence more commonly occurs after menopause, due to loss of estrogen (female hormones),”he adds. Frequent, high-impact aerobics is known to cause stress incontinence, as can heavy lifting and chronic constipation, since frequent straining to defecate tends to damage tissue in the lower pelvis. Obesity may contribute as well, because excess weight places pressure on the bladder. Smokers are more prone to incontinence. Urge incontinence occurs when the bladder muscles are too active. Even if the bladder has little urine, the person feels a strong urge to urinate but cannot get to a toilet in time. Although healthy people can have urge incontinence, it is often found in people who have diabetes, stroke, dementia, Parkinson’s disease, or multiple sclerosis. It can also be a warning sign of early bladder cancer. In men, it is often a sign of an enlarged prostate. 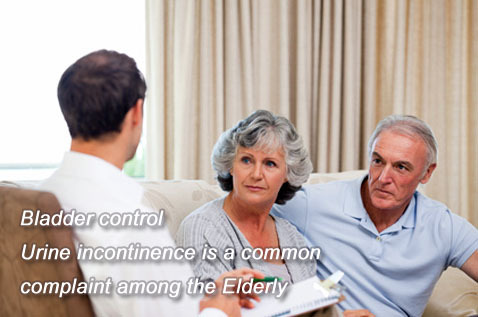 Alcohol, certain medications, bladder infections, and nerve damage can cause urge incontinence. You can have both stress and urge together, known as mixed incontinence. Rare conditions such as tumors, surgical complications, and pelvic organ prolapse can cause the other, less common forms of incontinence. So can caffeinated beverages; these can aggravate the Urinary Incontinence. 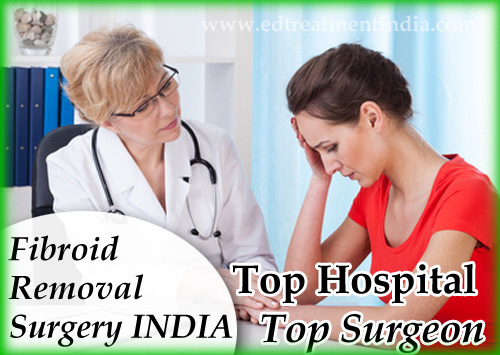 The ailment is also related to radiation therapy. Infants and children are not considered incontinent, but merely untrained, up to the time of toilet training. Occasional accidents are not unusual in children up to age 6 years. Let your doctor evaluate you after history taking, physical exam and blood tests for possible medical problems that could be causing the incontinence. Urine analysis is also done to rule out the possibility of urinary tract infection. “Urodynamic studies are important for evaluating the type of incontinence because treatment options vary depending upon the cause and the type of the incontinence you have,” informs Dr. Sobti. Biofeedback uses electrodes that are placed on the pelvic floor muscles. The muscles are stimulated using electrical stimulation with low voltage electrical current. informing you when the muscles are contracted and when they are not. The process helps you learn to control your body functions. It can be done for 20 minutes every 1 to 4 days. 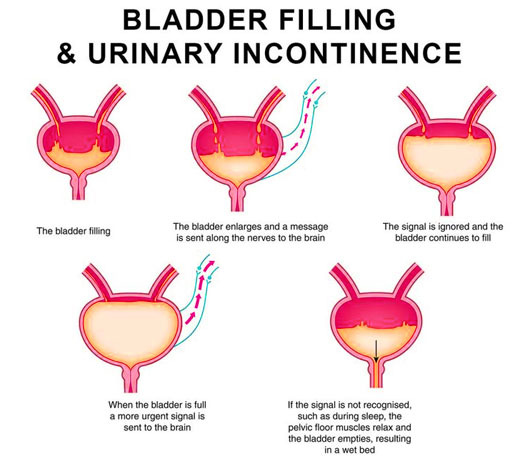 Incontinence needs bladder retraining, which involves urinating on a schedule, whether you feel a need to go or not. Try to wait until the next scheduled time. Train yourself so that you are urinating every 3-4 hours without leakage. The exercises involve contracting the pelvic floor muscles for 10 seconds, and relaxing them for 10 seconds. Repeat 10 times. Do the exercise thrice in a day. You can do these at any time and at any place. These can be done with or without bio feedback. 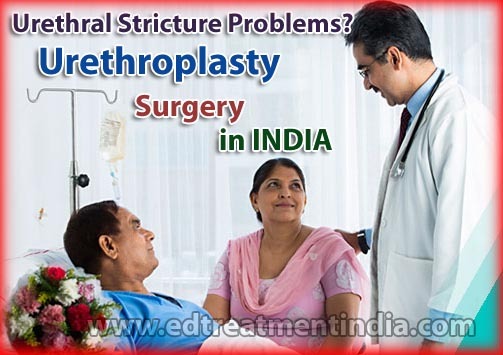 In case of obstruction or deformity in the bladder neck or urethra, surgery may be required. 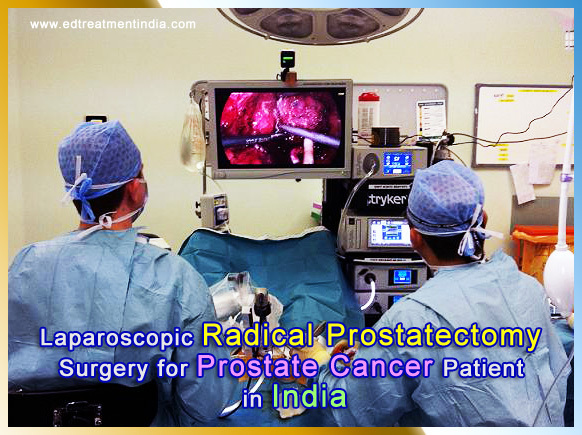 Older men may need prostate-ectomy (removal of the prostate gland). “Following treatment about 80-85 percent of individuals with urinary incontinence find that their symptoms improve,” says Dr. Vaze. Those who use behavior modification treatments may find improvement only after a few weeks of therapy. Kegel exercises improve urine control in 40-75 percent of women who use them.Yoga too can help. A very informative article about Urinary Incontinence. While this article is about how Urinary Incontinence affects the elderly, it also affects women after childbirth and people in their 40’s and 50’s. Suzanne Andrews, producer of 30 Day Bladder Fix Pelvic DVD.